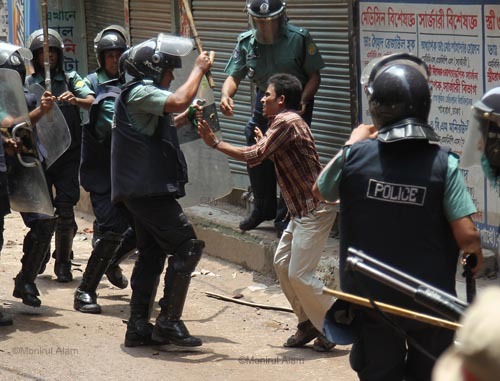 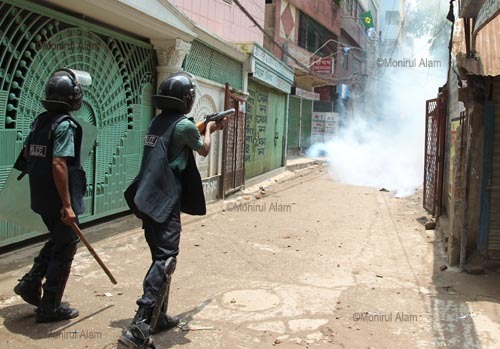 At least 30 people including 10 policemen were injured in a clash on Wednesday morning with readymade garment workers at Mirpur and Shewrapara in Dhaka. 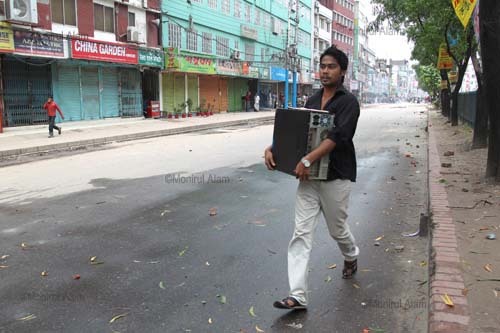 More than 10,000 protesting garment factory workers blocked main roads in the Mirpur the latest in a string of protests over low wages and poor conditions. 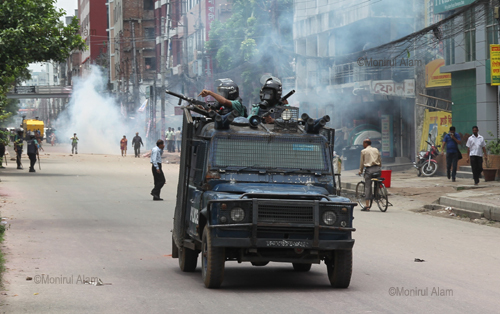 Police fired tear gas and used water cannons to disperse the workers, who sew clothes for some of the top names in Western retail, after they blocked a major intersection in the north of the city.